I've got a lot to celebrate about: how great the year has been treating me, my upcoming favorite festive month of December and my birthday starting off the month! 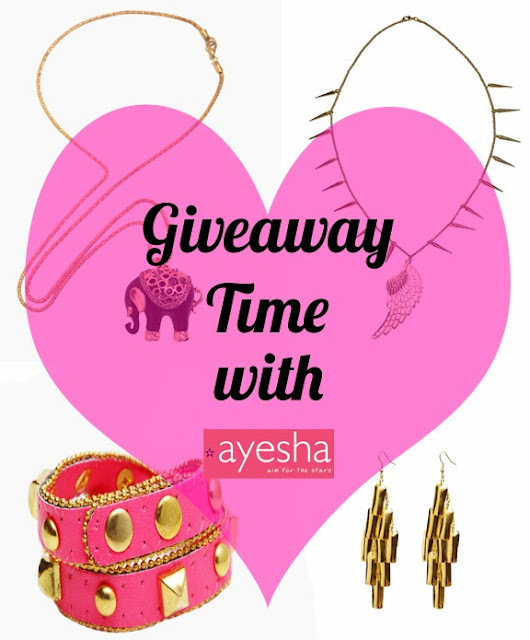 And what better way to celebrate with you lovelies than with a giveaway by Ayesha Accessories! Now is the fun part, the contest! 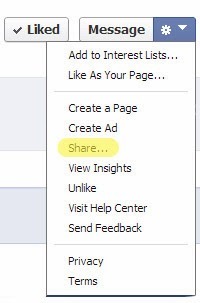 Share the Style File Facebook page. 2. Comment on THIS picture and tell me what is your most treasured accessory and why. It could be anything, a necklace from your mom, a ring from your partner or a scarf from your cousin. 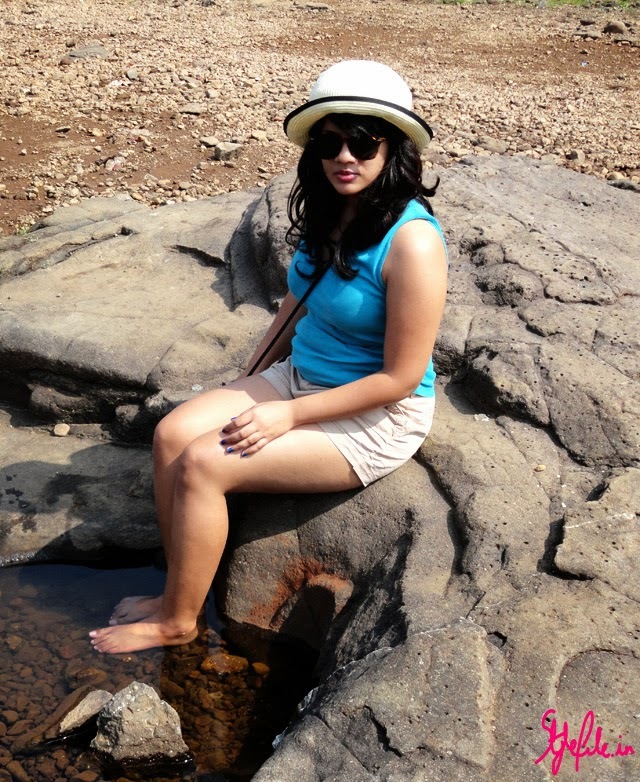 You The winner will receive a voucher worth Rs.2000 from Ayesha Accessories. Also, this giveaway is a unisex one as Ayesha Accessories has their very own range of accessories for men as well so do tell your male friends to participate as well! The best part? You are allowed multiple entries so you can comment on the picture with as many stories as you like and you are required to share the Style File Facebook page each time you comment with a contest entry. The contest is open to residents of India only and it ends on the 13th of December at 12 noon so what are you waiting for! Get cracking! 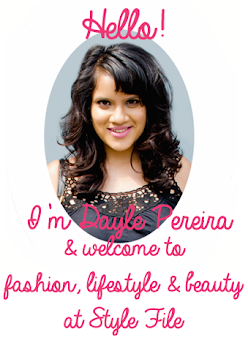 PS: I've been interviewed on by the lovely Anamika on the Wise She website about blogging, beauty and all things makeup so do drop in at her blog and check it out here ! So dolls, the great thing about being a blogger is, it pushes you to experiment. And on the other hand, the downside of being a blogger is, it pushes you to experiment. You see my conundrum ? 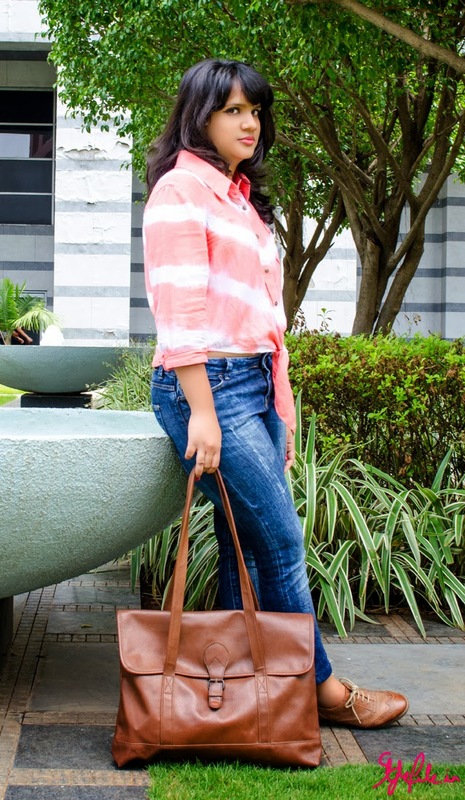 Experimenting is always talked about in such an exciting manner where you can throw this and that together and create a fun look. Not so much. While I've had my high points like when I experimented with a blazer; more often that not, experimenting can be a disaster; whether it is a dress that makes you look like a tent or that eye makeup that looks more 'racoon' than 'smokey'. That being said, I've never stopped experimenting and I never will. I will tweak and twirl and snip and glue and no matter how many flops I have, I will try new things all the time. After a rather impressionable traditional day in school, I've never gone back to a saree. 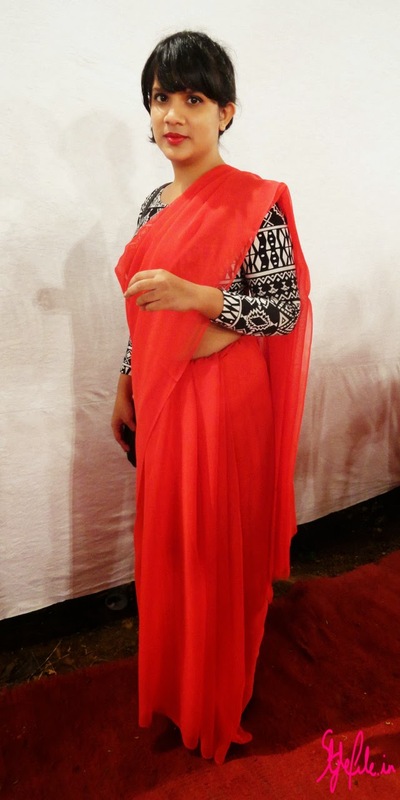 So recently when I had to attend a wedding where I knew Indian formals would be the code, I decided to go for it. While this isn't a strictly traditional Indian look, it is more of a fusion where I added in some aztec print and a french braided bun for good measure. I can finally put a tick mark next to 'wear a saree'. To ladies who don it their everyday walks of life, kudos for making a tough task like this one look so elegant and simple! Hope you liked my take on an Indian fusion look, dolls! 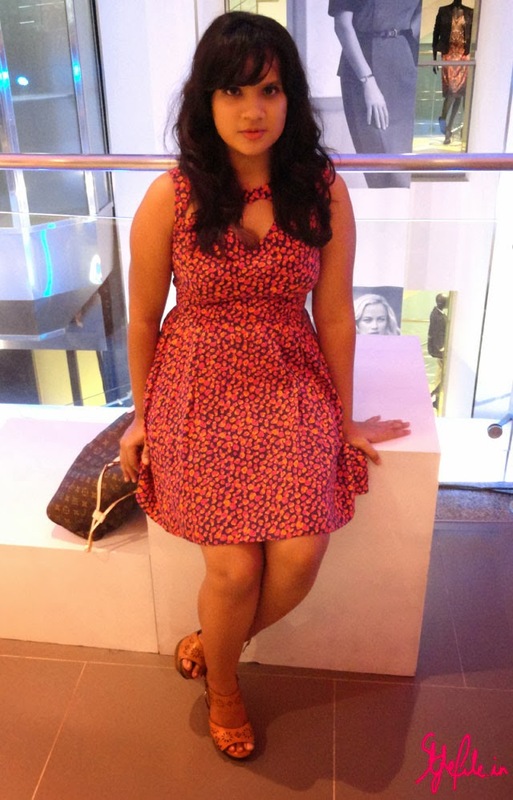 I've said it before and I'll say it again - "When all else fails, wear a pretty dress." I've done it a million times and more and when the trousers don't fit well or when a skirt rides up; this philosophy of mine hasn't ever failed. 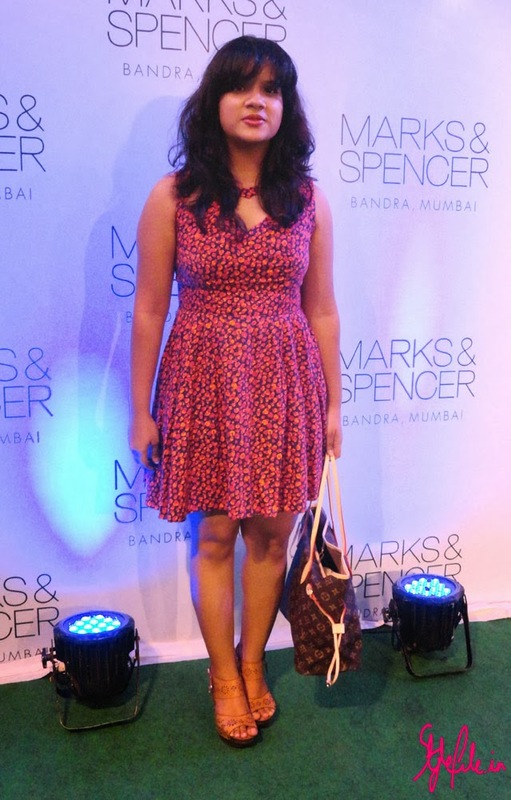 For the recent Marks & Spencer store launch, I had spent most of that day out so when I came home and it struck me at how little time I actually had to get ready; I was slightly panicked. *Ok. Not slightly, very! * But of course, like all good happy endings, a dress came to my rescue and from then on, it was all happy ever after. The plus of this skater dress which has been a favorite of mine for years is the adorable heart cutout which adds some sexiness to its otherwise pretty feel. 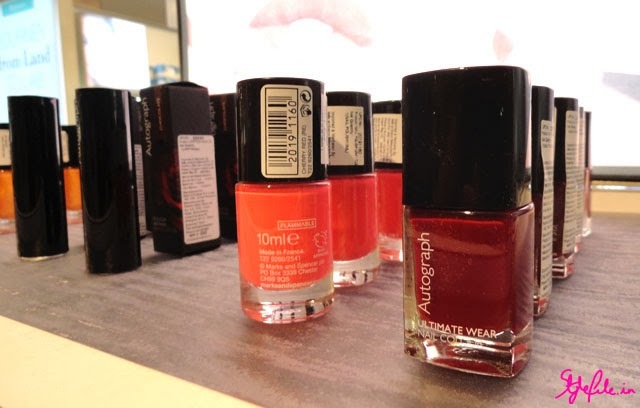 I kept the remaining accessories and colours neutral while adding a happy coral on my lips which complimented my dress perfectly. 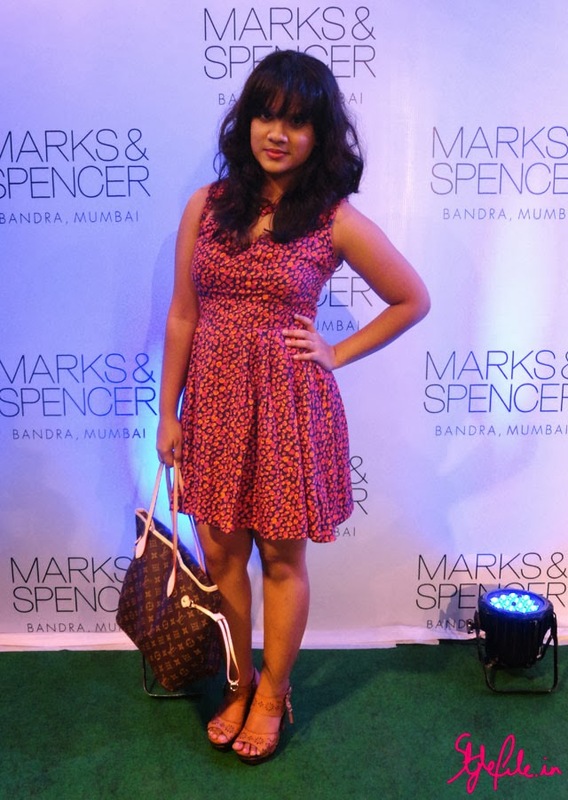 This week started out for us on a great note with a monday night event which was the launch of Marks & Spencer's largest store in India at Bandra along with a preview of their new Fall/Winter collection. 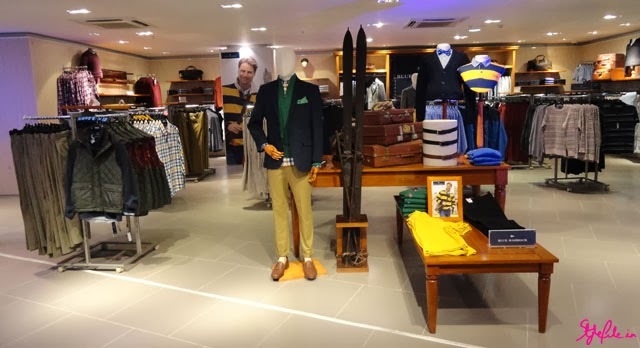 With its massive presence in India *at 36 Indian outlets alone* and its elegant british fashion, Marks & Spencer needs no introduction. So when Leo and me head to the Marks & Spencer shindig the other night, we were prepared for a night of fashion, fun and catching up with the blogger gang. With an introduction into the current store which spreads over an expansive 35,000 square feet, it was time for the exploration to begin. 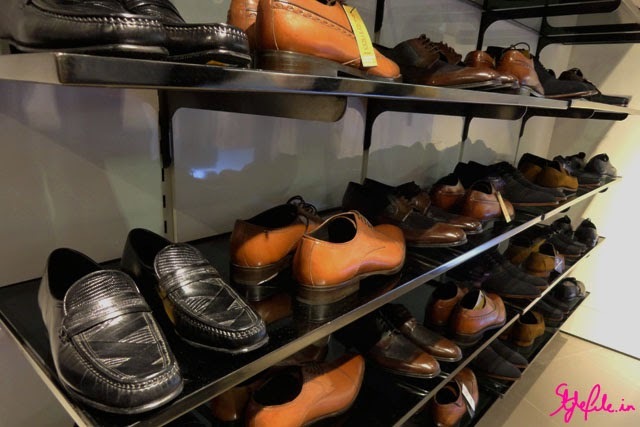 From women's and men's formal wear to street wear to shoes to accessories available over the five storeys, the store is a high-street fashion bonanza! 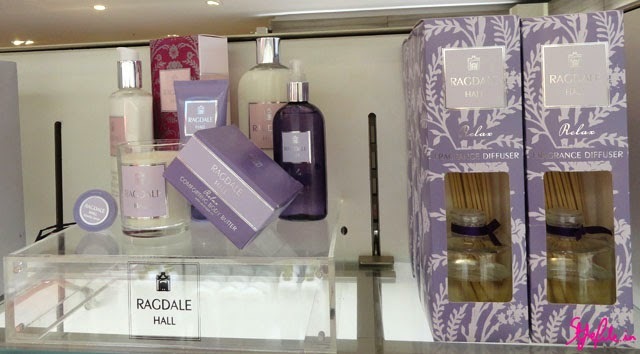 A variety of their in-brand ranges like Autograph, Limited Edition, Per Una Speziale and Savile Row Inspired which are not available in many of their other outlets, are well-stocked and available here, all for premium prices. 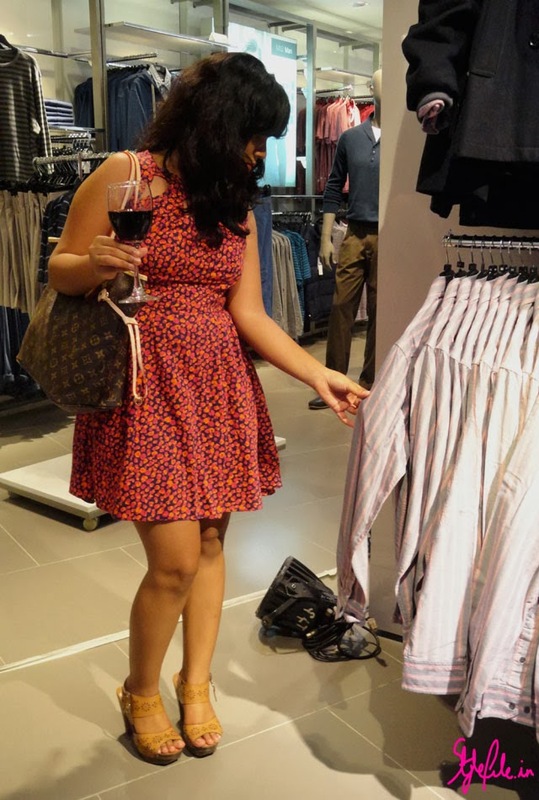 Since I always flit to the women's collections when I enter a store, I decided to join Leo in exploring the mens. 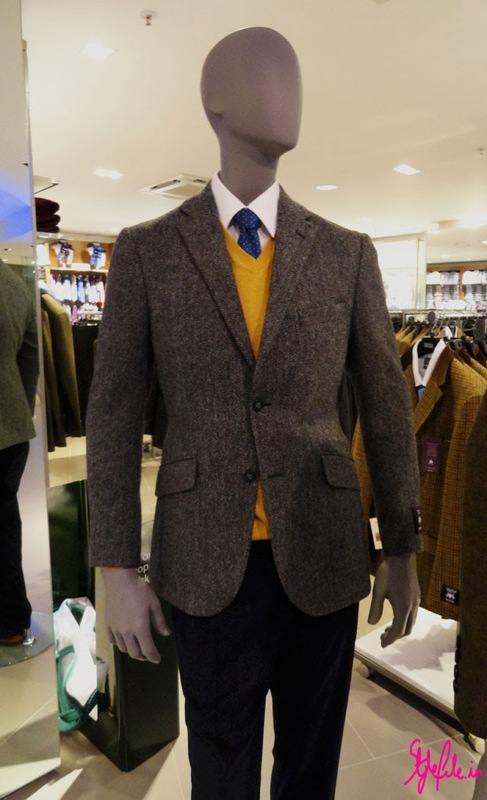 With winter around the corner, a majority of their collection consisted of layers, blazers, woolens and pullovers. 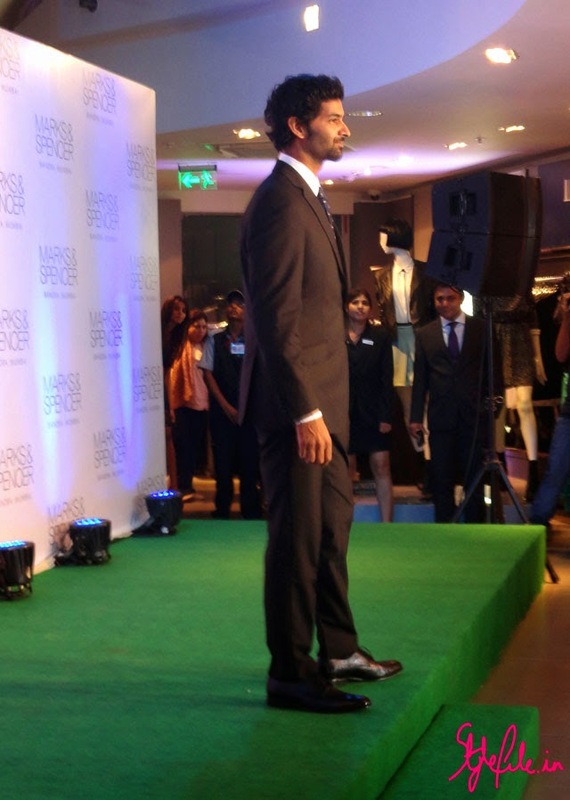 I enjoyed the vibe of the men's collection which is classy, very preppy and perfect for a fancy night out. Plus, the men's shoes are absolutely to die for! The highlight of their store, however, is their world's first Marks & Spencer Lingerie and Beauty department which is an entire floor dedicated to lingerie, sleepwear, skincare and cosmetics. 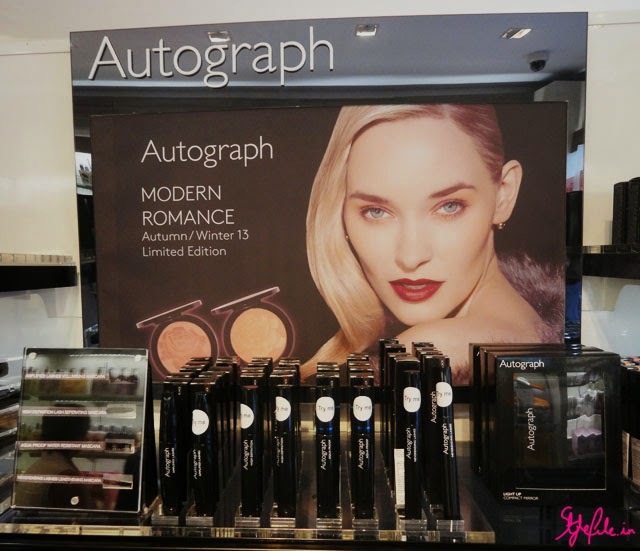 It includes the Rosie for Autograph sleepwear from supermodel Rosie Huntington Whiteley and their premium Autograph makeup. Post the exploration, there was a fashion show of clothes from all the ranges by yesteryears VJ's and today's celebrities which included Sophie Chaudhary, Anushka Manchanda and Purab Kohli amongst others. They showcased some great, formal looks from the brand while getting the crowd cheering. It was the perfect start to the week? We'd like to think so! 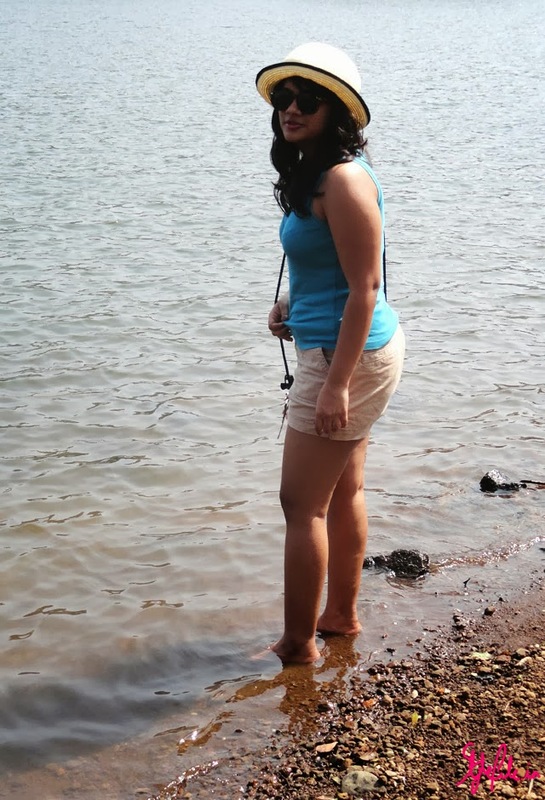 The summer holidays will always take me back to my childhood. At that point, holidays meant just a few things to me. 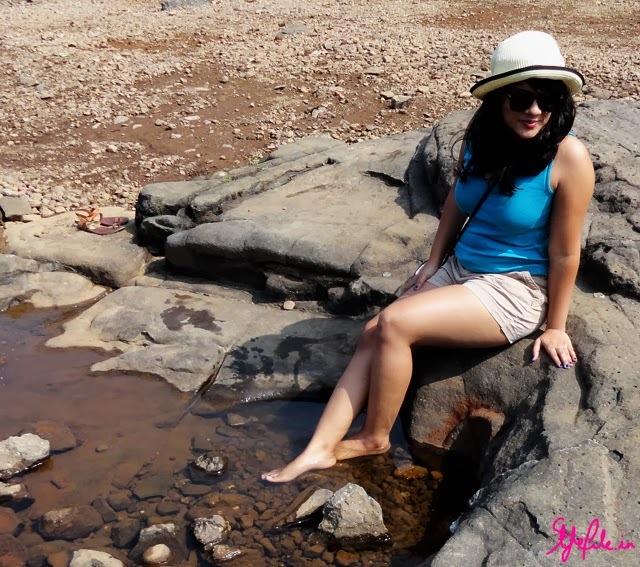 The endless goan summer. Gobbling alphonso mangoes by the kilo. 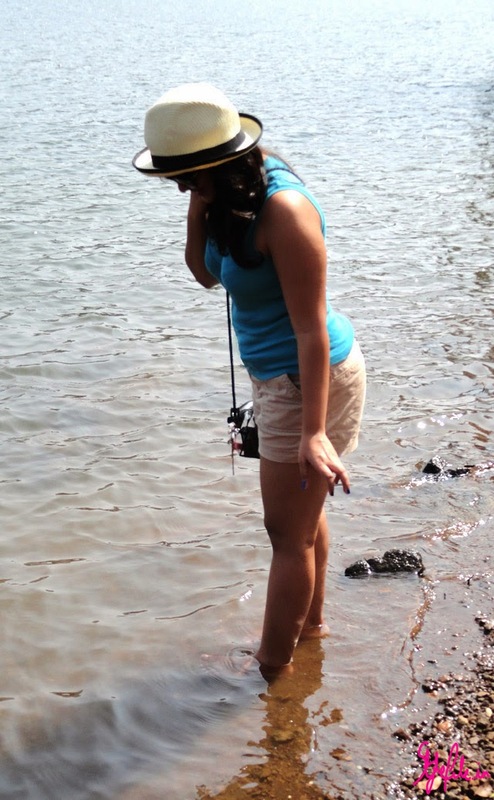 The early morning wading in the water at the beach. Prawn curry made with the freshest of catches. That's what my holidays were to me. It's been a while since I've had experienced one of those nostalgic vacations but recently when I was on a getaway, I came across this spot that brought back all those memories to me. 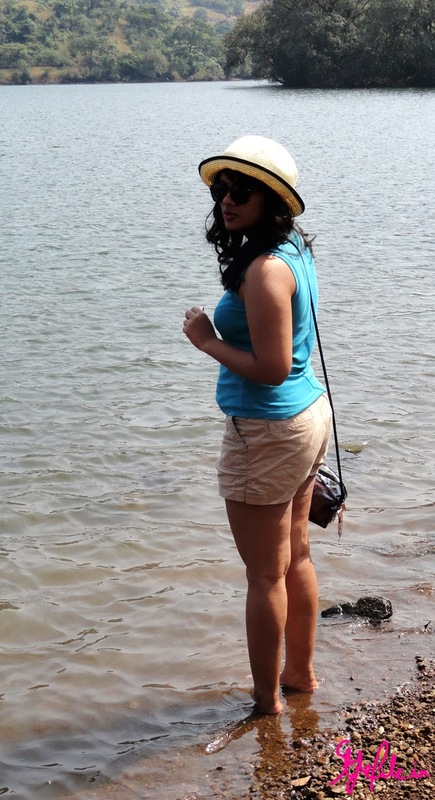 With a travel oriented outfit on, I tried my best to recreate that summery, nostalgic magic. Doesn't this outfit just make you want to slip on a bikini and go for a dip in the pool ? No ? Maybe that's just me then. Maybe this sounds out of character coming from a style blogger, but sometimes being off-trend is the best thing you can do for yourself. Not for the rest of your life, of course, but just for a couple of days. No thinking if this top is cool enough. No considering how people will stare at you. No weighing the options of wearing those shoes. Just picking out clothes for the sheer pleasure of wearing them. I have to admit, I don't do it enough but when I did go for it; the irony of it all was wearing the look for the city's biggest fashion event, Lakme Fashion Week. 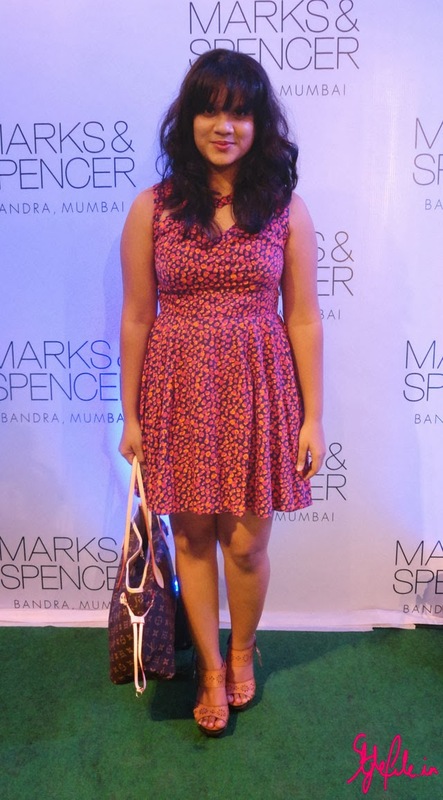 So at an event designed to showcase new trends, how did my untrendy look fare, you ask? Once you take a look at these shots, you tell me. I've pulled together a lot of different textures and looks from tie-dye to leopard *not in the form of the usual leopard print but with that adorable brooch I made which grabbed me a few compliments* but I feel like I fared pretty well! At the end of the day, you've got to remember that whether it is trendy or not, make sure your clothes make you happy when you're wearing them.